Dr. KIM Hankwon is a research fellow in the China Policy Program and the director of the Center for Regional Studies at the Asan Institute for Policy Studies. 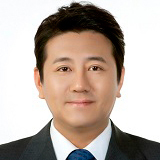 Previously, Dr. Kim was a visiting professor in the Center for Chinese Studies at the Korean National Diplomatic Academy, a research fellow at the Institute of International Strategy and Development at Tsinghua University, and a research scholar at the School of International Studies at Peking University. Dr. Kim’s research focuses on Chinese foreign policy and nationalism as well as Sino-North Korean economic relations. His recent publications include “The Multilateral Economic Cooperation for Tumen River Area and China’s Leadership,” The Korean Journal of International Relations (2010) and “China’s Strategic Response to the Kim Jong-un Regime,” IFANS Focus (2012). Dr. Kim received a B.A. and M.P.A. (Master of Public Affairs) from the University of Connecticut at Storrs, and his Ph.D. in international relations from American University. Dr. Kim also completed a post-doctoral program at Tsinghua University.